Vietnam beach relax , Qui Nhon beach relax 3 days . 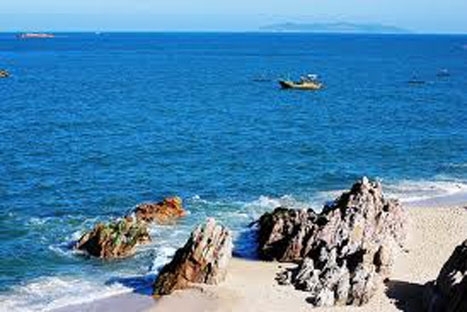 Quy Hoa Beach is considered one of the most pristine beaches in Quy Nhon. This pretty beach holds a very interesting thing is that the beach is backed by what looks like an immaculately kept resort that is actually a leper hospital. The ground is dotted with statues and busts of former both Vietnamese and foreign doctors having worked in one of the few leper hospitals in the country. Around the place where the patients of the hospital work to earn some money sits a few arts and crafts shops which are well worth a humbling visit. Along the beach there are more shrines to different medical achievers that have been a part of the community for many years and there is interesting shrine adorned with Christian figures at the northern end of the village. 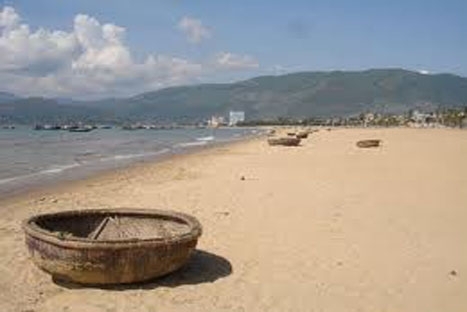 Quy Hoa Beach is located in front of the village. The beach is one of the nicest stretches of sand around Quy Nhon and a popular weekend hang-out of people from other cities to relax.